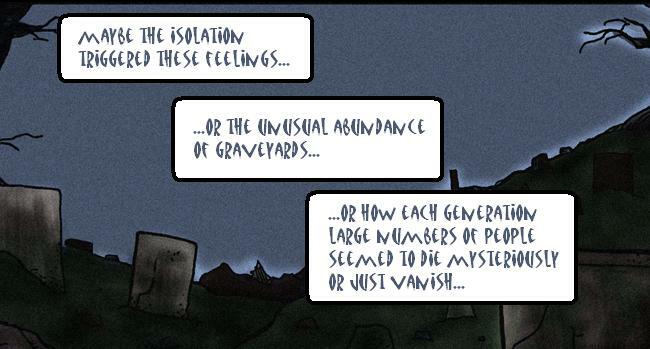 Nightfall Valley is a weekly web comic about life, love, and zombies. I wanted to set a creepy mood for the soon-to-be-infected New England town, but I hoped the story would have the campinesss and humor that made me laugh when I watched my favorite 80’s teen movies. Using elements of cartoony and western styles, I set the comic in Western Massachusetts, a quaint but eerie region of New England teeming with chilling history, ghost stories, “forbidden” land, (and lots of grumpy people). ComicDish- The Dish Podcast Review of Nightfall Valley!